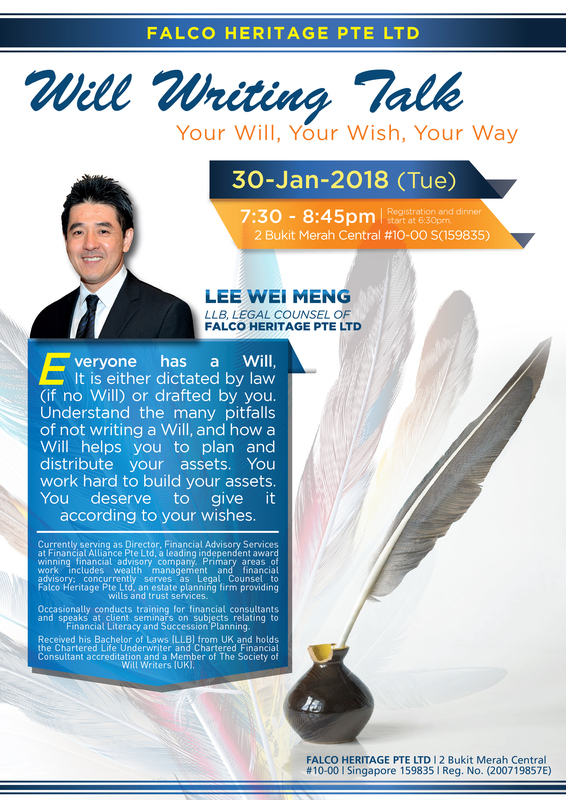 Plan ahead for life’s uncertainties. 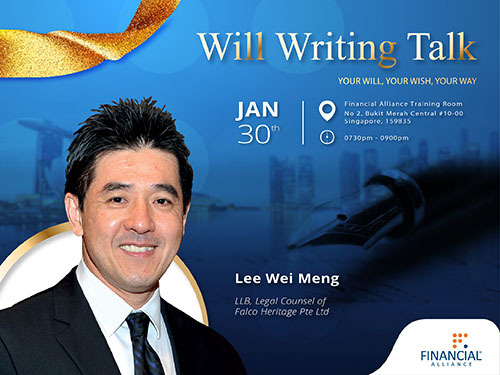 Join our first Will Writing Talk of 2018 with Lee Wei Meng to understand how to distribute your assets according to your wishes. 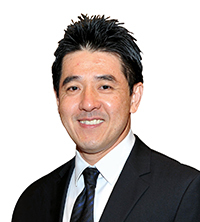 and seminars, sharing his expertise in wealth management and protection.